Not only does the Roaring Bear Archers Arm Guard provide you with just the protection you need when you are shooting your preferred bow, but it also has an impressive and ferocious design that will make you look like one intimidating warrior or bowman! This bracer is crafted from 7/8 oz. leather and is designed to be worn on the inside of your arm, offering superb protection from the snap of a bowstring when you are shooting any style of bow, be it a long bow, a recurve bow, or even a short war bow! 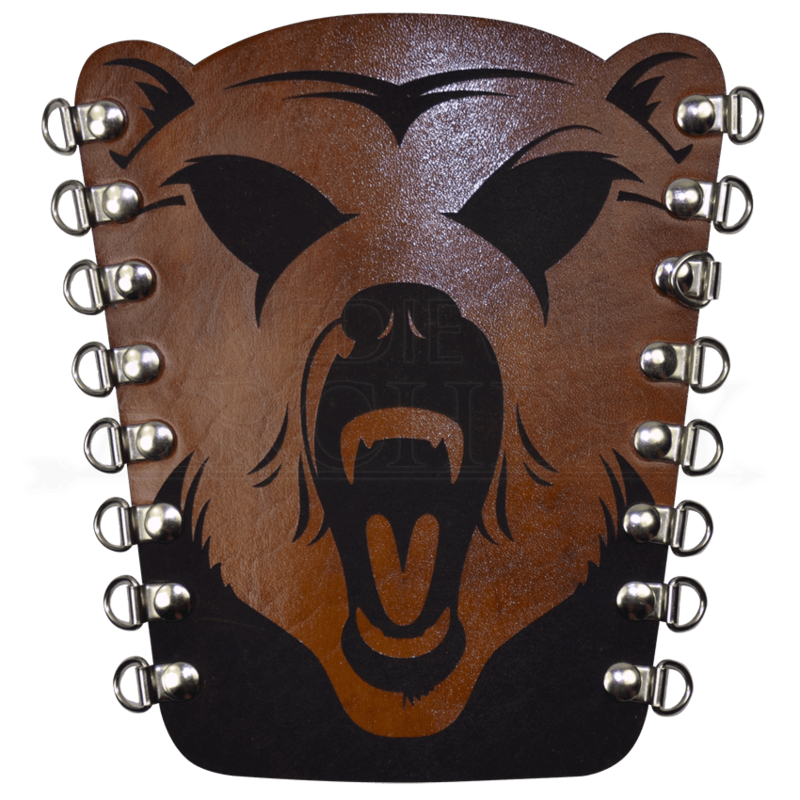 The bracer features a stunning design that creates the fearsome look of a bear, roaring and showing its fangs on the face of the bracer. On either side of the bracer are speed-lacers, which allow the bracer to be pulled on and secured at speed, which means that you can start shooting arrows that much faster. Please note that this bracer is sold individually, and not as a pair, as an archer typically only needs one. Any time you plan on shooting a bow and want to give your arm that extra bit of protection from the sting of a snapping bowstring, you might want to consider wearing an archers arm guard. 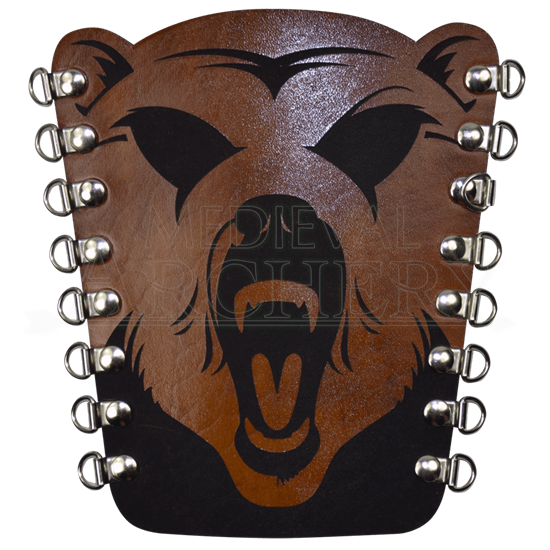 And this Roaring Bear Archers Arm Guard does double duty, providing the protection you want with a stunning design that makes the bracer look all the more impressive.